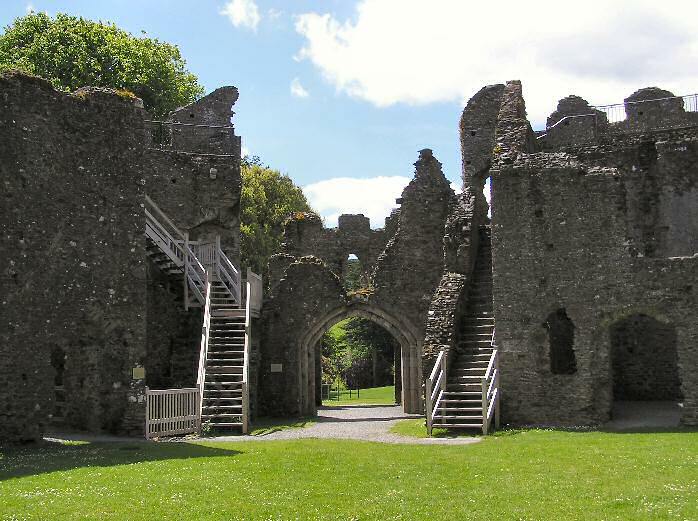 Taken from the centre of the courtyard looking back towards the gatehouse, you can clearly see the two sets of steps leading to the Wall-walk. To the right is one of the entrances to the Guardroom. Underneath the right-hand staircase, next to the inner arch of the Gateway, you will find the Porter's lodge where a porter would have controlled access to the courtyard. At the bottom of the left-hand staircase is one of the mysterious pits left from the original 11th century building. The doorway to the far left in the photograph leads to the kitchen. The rooms were arranged in a circle arround this inner courtyard.